Include only ONE PERSON per form. We welcome additional family members however please use a separate form for each person. Do you want to add other phone numbers? Format ## #### #### including area code. Do you want to add other email addresses? Work email can also be used for school/student email address. Do you want to provide another address? SU produces four issues of SU News a year to keep you informed about the work of the movement. SU News will be emailed to your preferred email address and a single copy will be posted to each household. From time to time we will write to invite you to support the movement in prayer and financially. You can choose to receive these by post &/or email and can opt out of receiving these at any time. 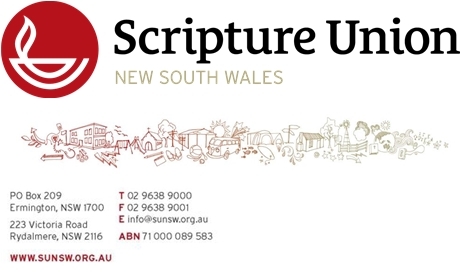 If you would like someone to contact you please email us at info@sunsw.org.au or phone us on 02 9638-9000.